I love almost everything about living in Madrid: the lifestyle, the weather, the people, the never ending list of things to see and do. One thing I dislike with a fiery passion is the music. Don't get me wrong, Madrid has a great music scene and I just went and saw Stephen Marley give an irie performance last Tuesday night (post coming soon), but few Spanish artists on my regular rotation of jams. Though Spain has a great musical heritage, especially flamenco and flamenco guitar, recommendations usually consist of a few generic Spanish rock bands or your typical Top 40 hits. I'm not through yet with my quest, and today's jamandahalf comes from an atypical Spanish artist whose music has me keep up the hope. 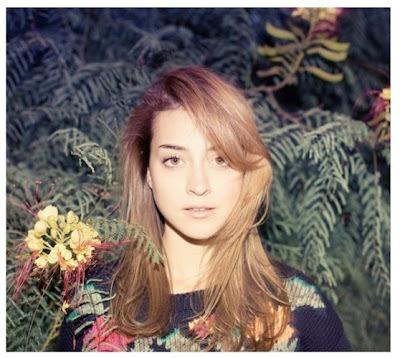 Russian Red is a madrileña who sings in English and has made a name for herself by combining country-western and folk sounds with a slight touch of Spanish underpinnings . Though her songs sometimes border on poppy, she does have an edge and originality which makes her someone to listen out for. Check out two great songs from her most recent album below.